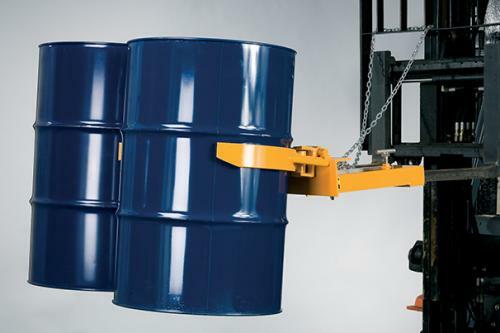 The DLF402 Double 55 Gallon Steel Drum Grab from IGE is an ideal solution for turning your forklift into a drum grab. 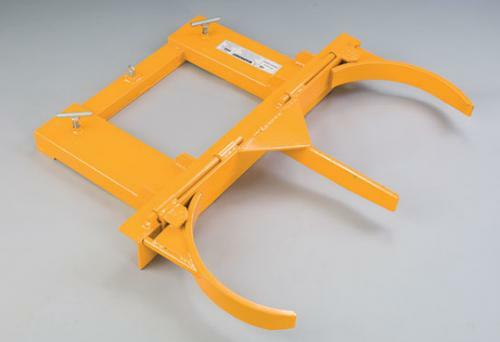 The attachment that is designed to grab two drums at the same time, Up to 450kg Per barrel! Quick and easily lift drums without hydraulic of electric connections. Slip and screw- simple fit and tighten onto forks to secure grab. Lifts, lowers, transports and deposits drums without leaving the driving position. Pressure is automatically applied by action of the loaded drum and will be firmly maintained in the same position until being deposited, it is then automatically released.